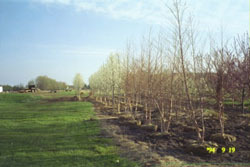 Ridgeview Landscaping is "Growing Strong Roots" in the Holland landscaping, Grand Haven landscaping, Saugatuck landscaping and Grand Rapids landscaping areas for over 20 years. Ridgeview Landscaping is a certified Unilock Contractor. Call us today for a quote on a new paver patio or walkway. 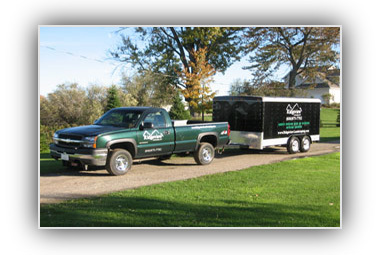 Ridgeview Landscaping is owned and operated by Jeff Leegwater who was born and raised in Holland, Michigan. Jeff’s interest in landscaping started at a very young age while working at his father’s greenhouse (Windmill Greenhouse). He continued to serve the West Michigan landscaping area by working for some local landscaping companies throughout high school and college. Being raised by an entrepreneur, it felt natural to start his own landscaping business. Jeff is a CGIP (certified green industry professional) member (certification #1365) and has both his herbicide and pesticide certifications. Commercial pesticide applicator #C003010253. Ridgeview is licensed and insured to help make your decision worry free. Our staff attends regular seminars to stay up to date on all the latest trends in the industry. 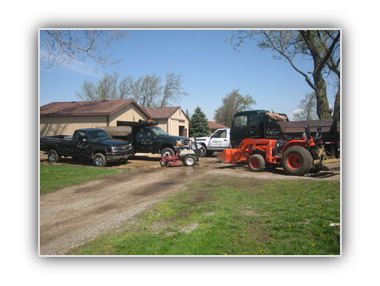 We are a family oriented Holland landscaping business that will take into consideration each family’s lifestyle and schedule. Ridgeview Landscaping strives for excellence and is focused on being a leader in the green landscaping industry for many years to come. 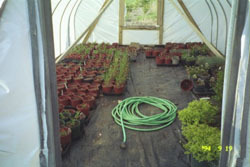 Michigan Nursery and Landscape Association: Member since December 2006.